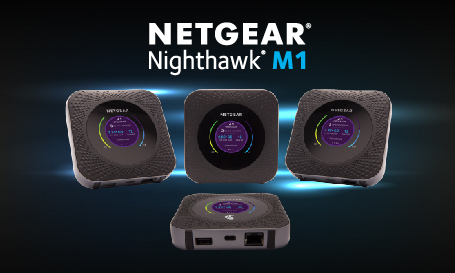 What’s all the fuss about the NightHawk M1? Download a typical 3.5MB song in a fraction of a second. Download a 20MB PowerPoint presentation in as little as as one second. Download a 300MB one hour TV episode in as little as sixteen seconds. The World’s Fastest Mobile Hotspot… and more! The NightHawk M1 not only provides super fast mobile internet, it’s also full of great features. The NightHawk M1 device offers as much as 16 hours of battery life and is capable of charging smartphones on the go. It can also be used as a storage and streaming device for your movies/TV shows or large files. Who would have thought that such a little box could do so much? For businesses in the major capital cities who rely on mobile internet, this is great news. This NightHawk M1 device brings us one step closer to office-like bandwidth on-the-go and acts as pre-cursor to full mobile 5G. And like all businesses who need high-speed internet we can’t wait to get our hands on one of these units! The NightHawk M1 devices runs on one SIM card and allows up to 20 devices to connect at once. Telstra are looking to launch part of the network in selected Australian capital cities but it won’t be available Nationwide till at least 2020. The device is available for purchase towards the end of February to new and existing customers for $360RRP outright or on a range of plans. Telstra have stated that they look to make gigabit LTE technology available on more devices, including smartphones, later this year. Update – Telstra Nighthawk M1 now in at Webtron! Here at the Webtron Office, we have just received the new Telstra Nighthawk M1! 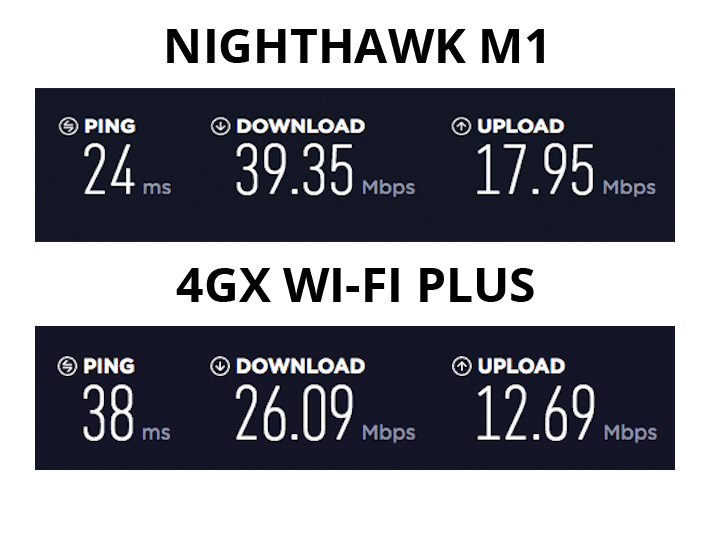 We are loving our increased download and upload speeds. This device gives us ease of mind with a more reliable connection whether we are in the office or on the go. Check out the increase in speeds in the below photo! It’s great that Telstra is offering a fast, convenient and reliable mobile hotspot alternative to the long-awaited National Broadband Network (NBN). Unfortunately NBN isn’t scheduled for completion here until 2020. We like that we can use Telstra Nighthawk m1 in the meantime.